The problem with robot vacuums like the Roomba is that they're only designed to deal with dirt on the floor. 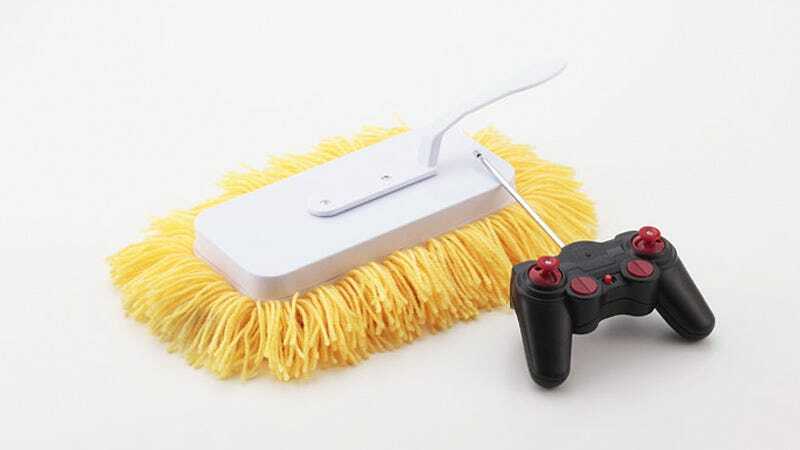 The rest of your house—from furniture, to counter tops, to shelves—is left for you to clean: a chore made considerably more awesome with this remote control duster. You'll still have to exert some level of physical activity to get it up onto dust-covered surfaces, but once you've endured that ordeal the duster can be controlled and maneuvered from the comfort of your couch using an RF remote.